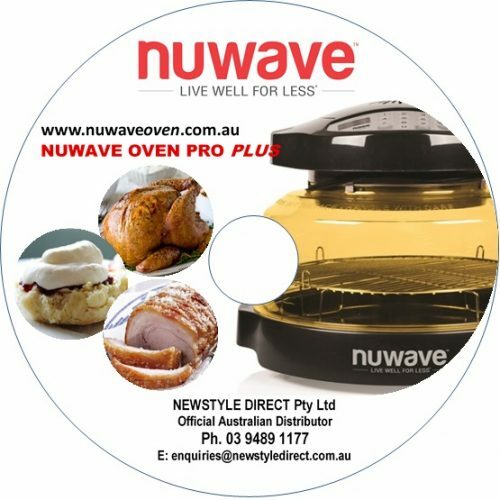 This is a 4 piece Pizza Kit that makes it easy and convenient to serve up your beatuifully, crunchy, Nuwave Oven cooked Pizza. 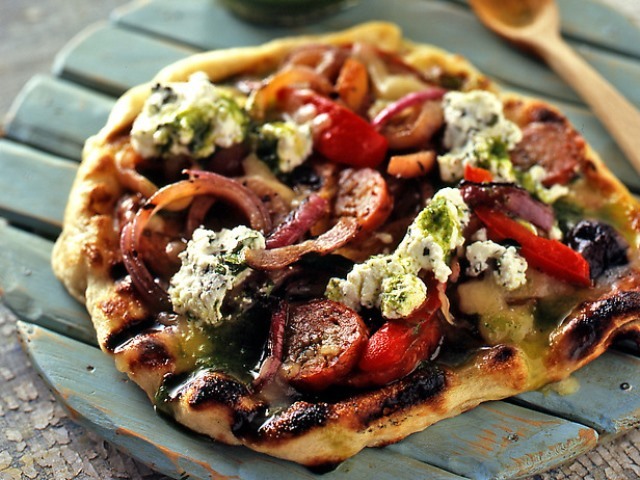 The Supreme Pizza Kit gives you everything you need to turn even a frozen pizza into a scrumptious, cheesy treat. 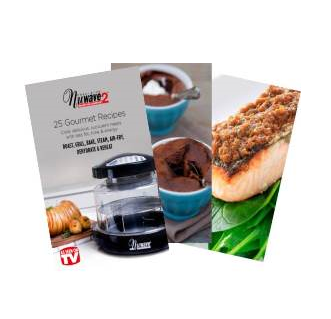 This kit includes a silicone liner that can be used for more than just pizza. 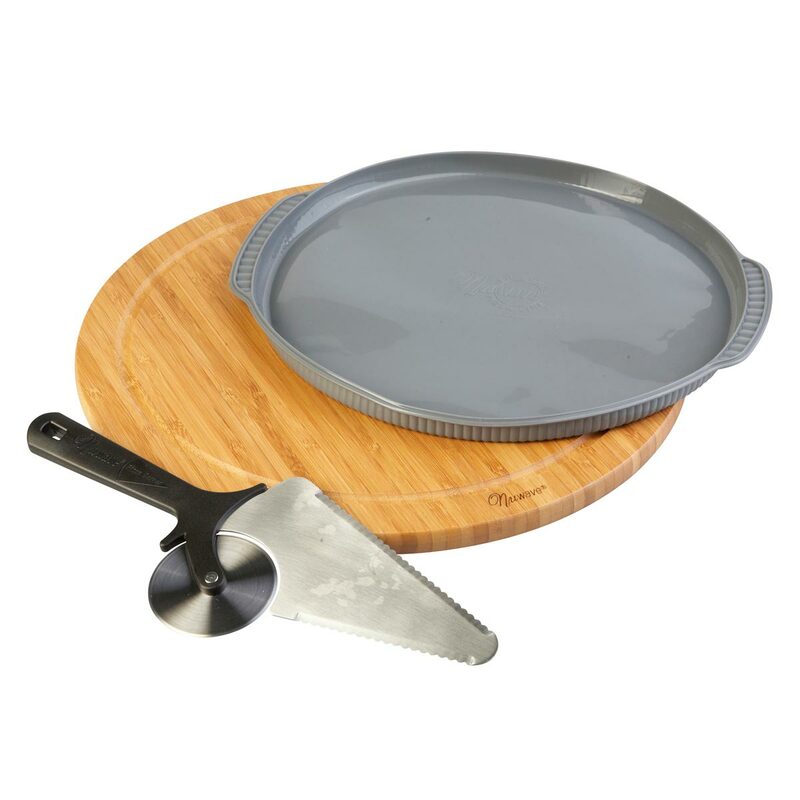 The pizza flipper works perfectly for safely turning pizzas, quesadillas and more. 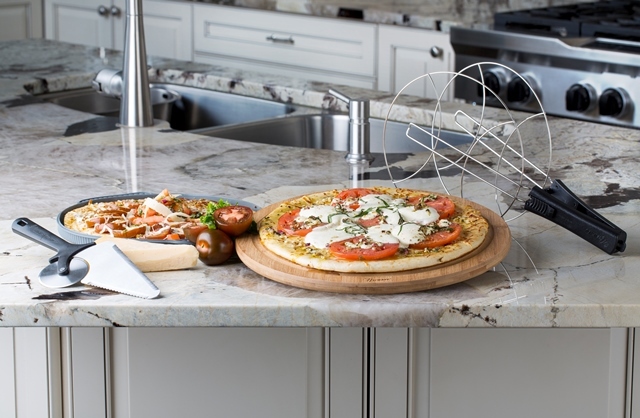 The pizza server has an easy-grip handle so you can slice and serve with ease. 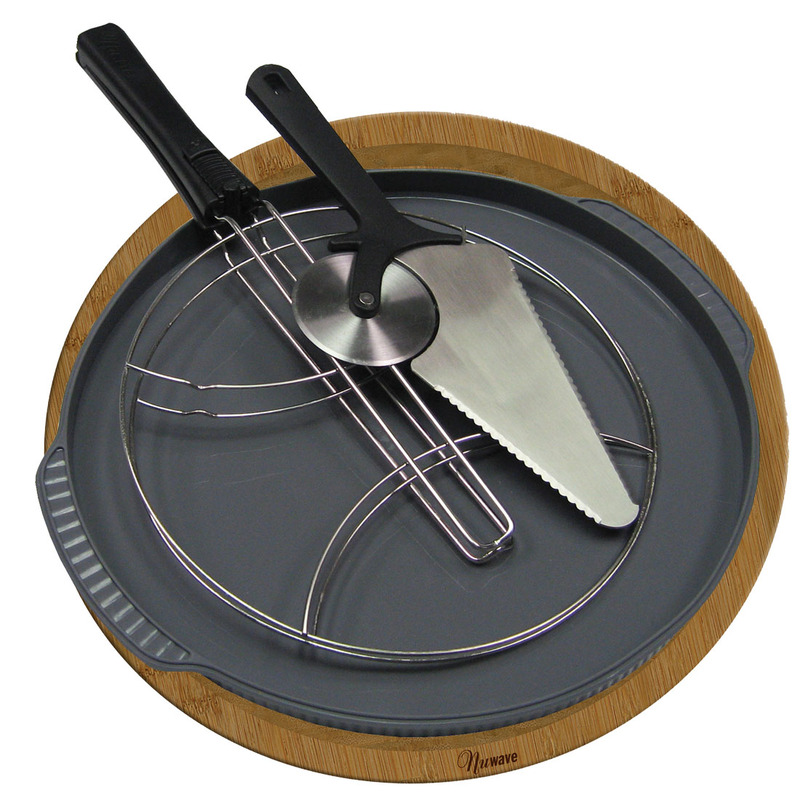 Finally, the eco-friendly bamboo cutting board allows for easy slicing and dicing without damaging your bench top.